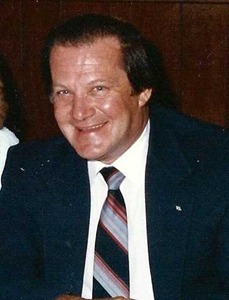 Newcomer Family Obituaries - Jerrald L. Kuriger 1937 - 2018 - Newcomer Cremations, Funerals & Receptions. Jerrald Lee Kuriger, age 81 of Waynesville, passed away Saturday, December 1, 2018 at his residence. He was born on August 22nd, 1937 in Dayton, Ohio. He is preceded in death by his parents Bernard & Ruby Kuriger and brother Denny. Jerry is survived by his loving and caring spouse, of over 63 years of marriage, Ruth and their four sons and daughter in-laws: Rex & Liz, Rusty & Rhonda, Ron & Janie and Rick & Nancy. In addition, there are ten grandchildren, (Reid, Reagan), (Ruby, Robby, Ray & Sydnee), (Ryan, Rachel, Randy), and (Craig, Keith). He is also survived by his dear friends Al & Rhonda Ludwick. Jerry was the founder and President of the Sure Tool & Mfg. Co., Inc. A Tool & Die Maker by trade, he served in the United States Navy Reserves and was proud to be a 32 Degree Mason. He was a social member of the VFW Post 2800 and a season ticket holder to the Cincinnati Reds since 1970. His passions included golf, hunting, fishing, gambling, and in his later years he became a master connoisseur of the chilled Tanqueray gin martini, with three olives and no vermouth. Add your memories to the guest book of Jerrald Kuriger. My heartfelt condolences go out to you and your family. I will surely miss the presence of Jerry, a truly great man and a terrific boss. As a young man "mid 20's" i would bring parts that needed repaired in some fashion. Our first encounter was a learning session for me, O boy! Being new in the business i asked could he make the repair and as always how long would it take. He quickly reminded me that all repairs are achievable it is the process that changes the game, time quoted to my customers and of course costs. Shortly after our first conversation i realized he had taught me some business strategy that i have used since that day! I still continue to do business with the family to this day. Becky and I send are deepest sympathy's at this time. Jerry was not only a business associate for almost 50 years! He was a friend. He not only supplied quality gauges, but he trained design engineers at Ford correct GD&T dimensioning techniques in the design of products to be able to build a gauge that would correctly check the varied components. We had many laughs at Reds opening day ball games, countless lunches, golf games and just drinks, oh yes there were always drinks...cheers pal. I plan to salute you on Saturday with your new drink of choice a chilled Tanqueray gin martini, with three olives and no vermouth! God Speed and I see you on the other side.